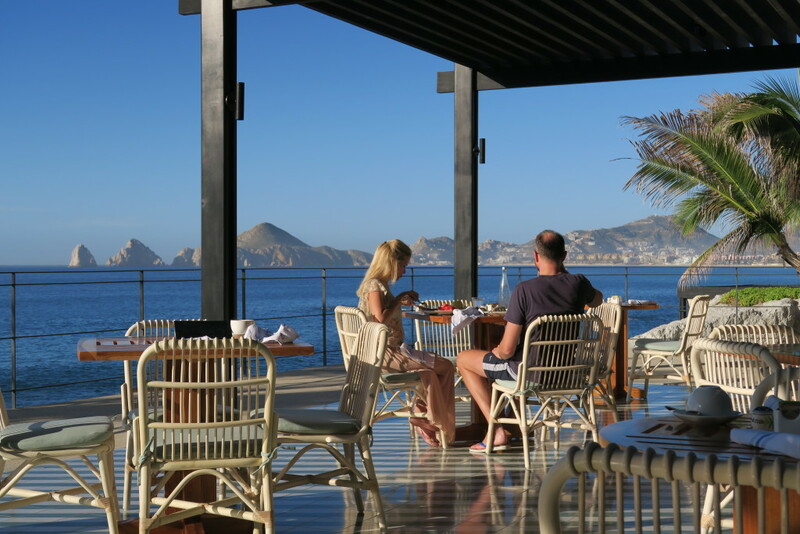 If you’ve got a craving for great food and a luxurious beach vacation, The Cape Hotel in Cabo is for you. before then buy viagra tablets in us Just before the holidays I took a long weekend getaway with one of my dearest friends to Cabo. The trip was a perfect moment to reconnect – she lives over 3,000 miles from me! And we don’t get to hang as much as we crave. But this trip was a perfect girls getaway where we got to indulge in nature-filled activities and lounge around a luxury hotel. 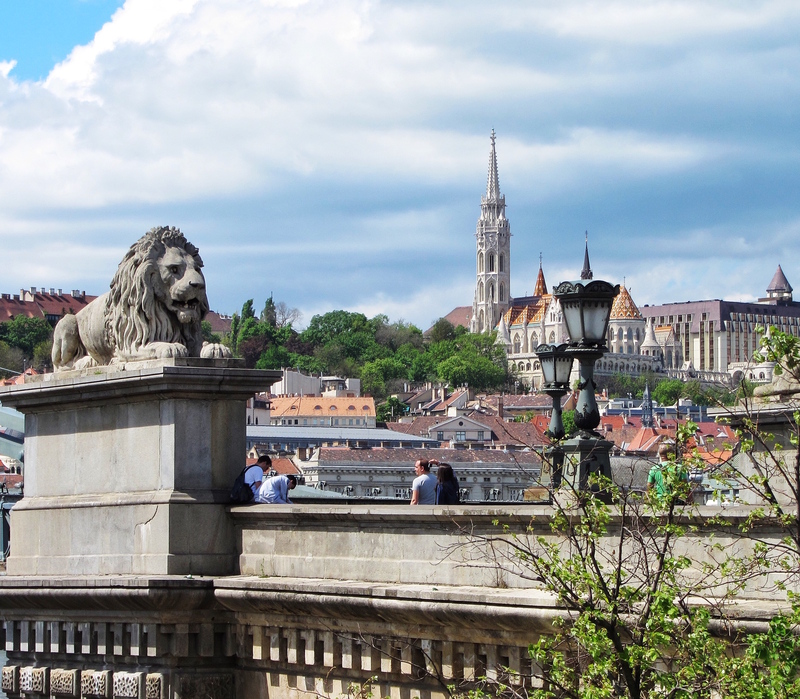 In this article, I’ll talk about our hotel. 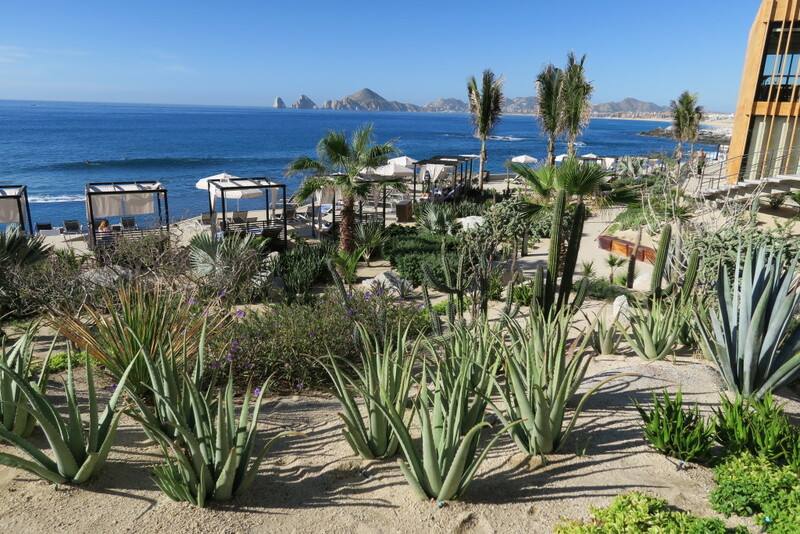 http://liveforextradingsignals.com/?x=viagra-super-active-for-sale follow url The Cape – A Thompson Hotel is nearly equidistant from Cabo San Lucas and San Jose del Cabo – the two cultural hubs most popular for visitors in this region. The hotel itself is new to the area. In fact, they were just having their official, grand opening party the very weekend we were visiting – fireworks and local celebs and all. 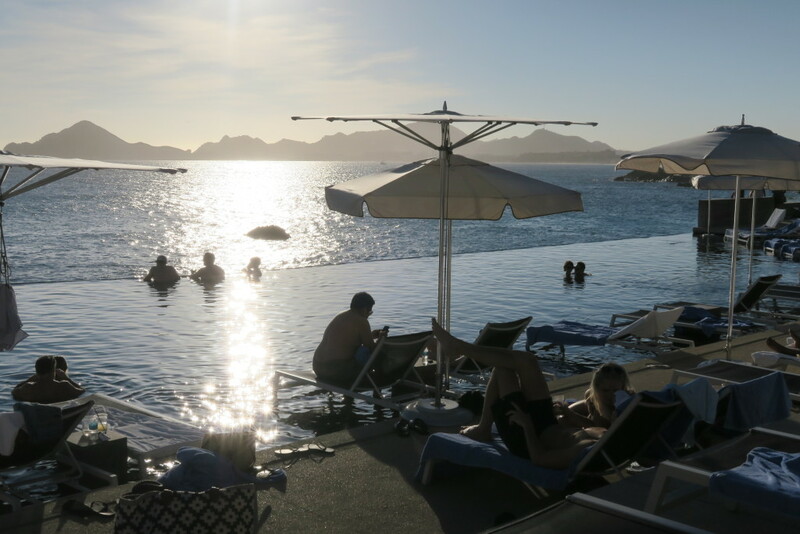 real viagra prescription The Cape Hotel is right on the beach with a perfect view of El Arco, the famed Cabo rock formations that lie on the tip of the Baja California Peninsula. Sunsets were absolutely stunning. 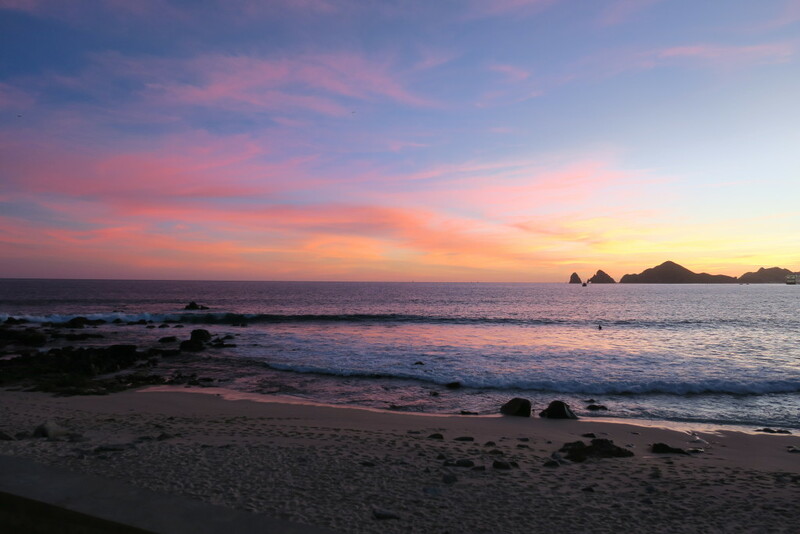 Each evening the sky became striped with vibrant pink and orange light, coloring the sand and sea, silhouetting the rocks and ships in the distance. source Just in front of the beach is an infinity pool, swim-up bar, cabanas and chairs for lying out. 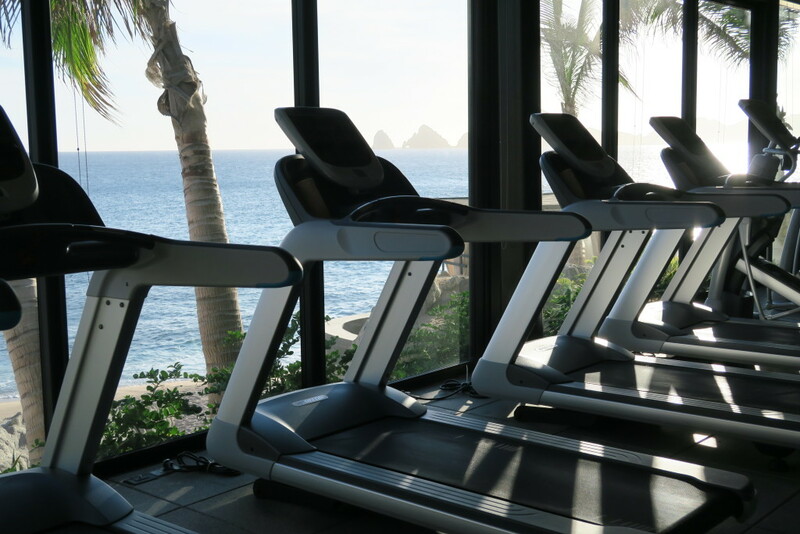 There is a well-equipped gym with a fantastic view and a full service spa right next door. 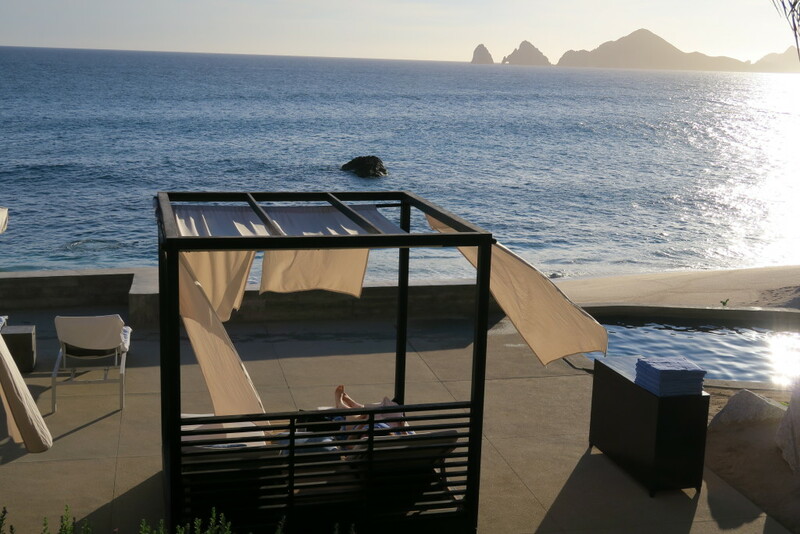 You can get a massage in an outdoor cabana as well. 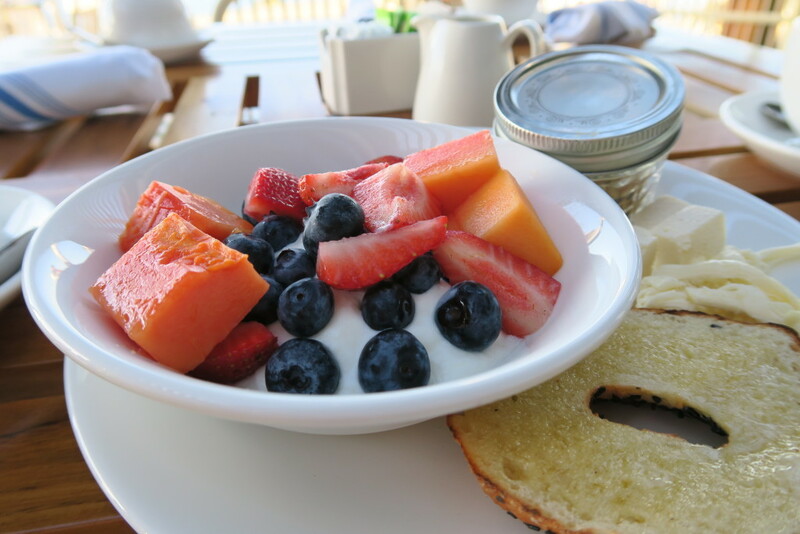 follow link Breakfast at the hotel restaurant, The Ledge, gets an “A” with a buffet full of fresh fruits, yogurt, granola, baked goods, and cheeses. On the menu are lots of All-American staples among a items with a Mexican flare. 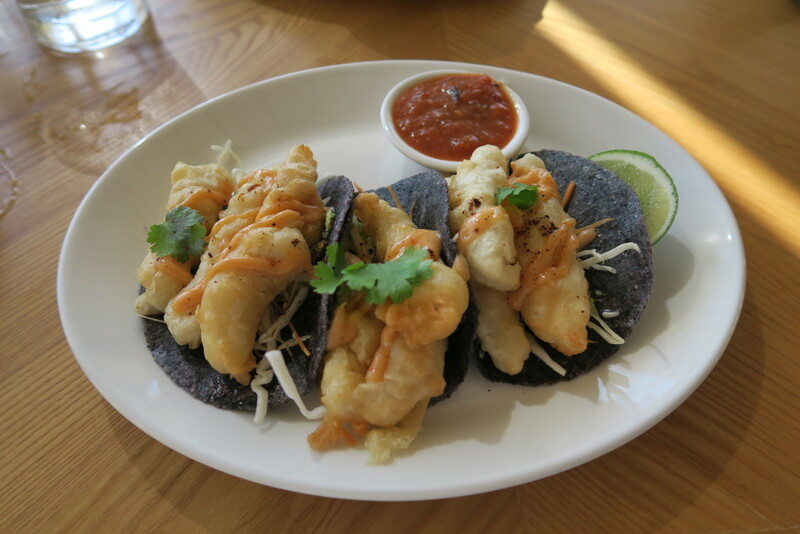 Lunch around the hotel is pretty good as well – the fish tacos were our favorites. 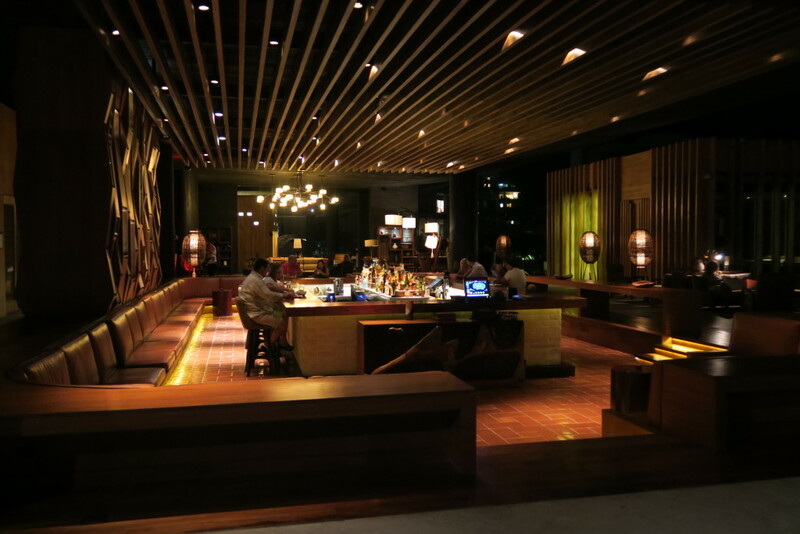 The Cape Hotel’s restaurant, Manta by chef Enrique Olvera is a great dinner choice if you want to treat yourself . Enrique is known as one of the pioneers of modern Mexican cuisine. The food has an Asian influence with an emphasis on seafood and haute presentation. 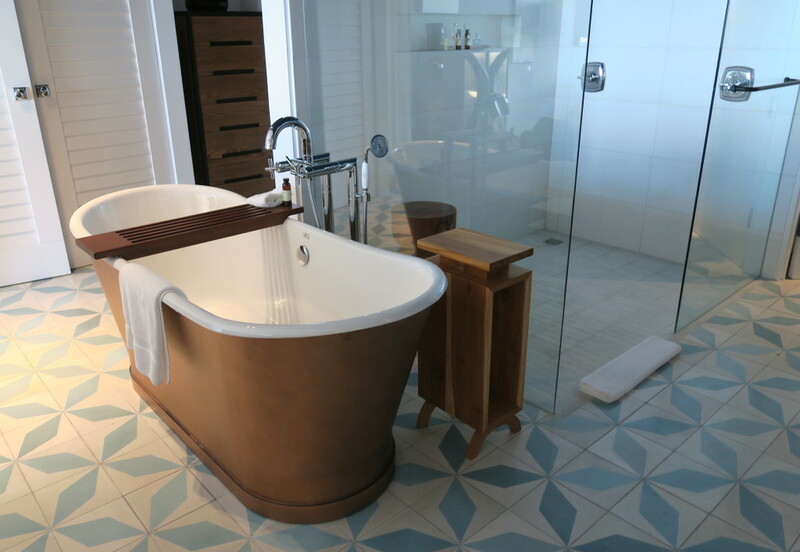 What’s more, The Cape Hotel has gone above and beyond to create attractions that will wow not just guests but other swanky visitors and locals of the area. The restaurant, Manta is a good example of this. 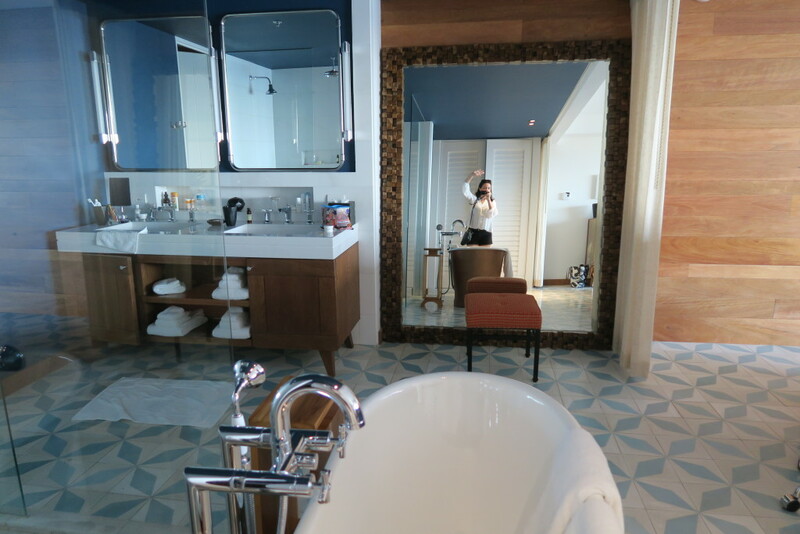 So is the Lobby Bar, which is, like much of the hotel, furnished with a nod to 1960’s retro décor – all while being open to the elements with a view of the sea. 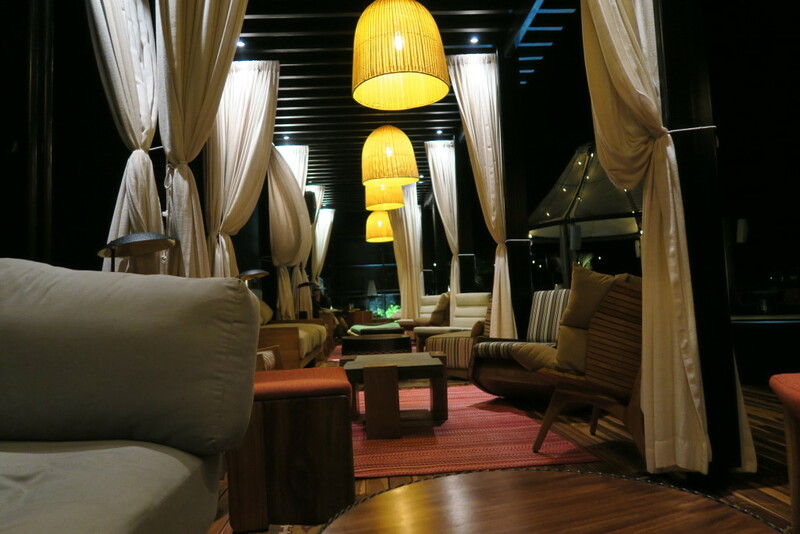 On Saturday night during our stay, a live band playing a medley of hits warmed the lounge ambiance. The female singer had a beautiful, soothing voice. 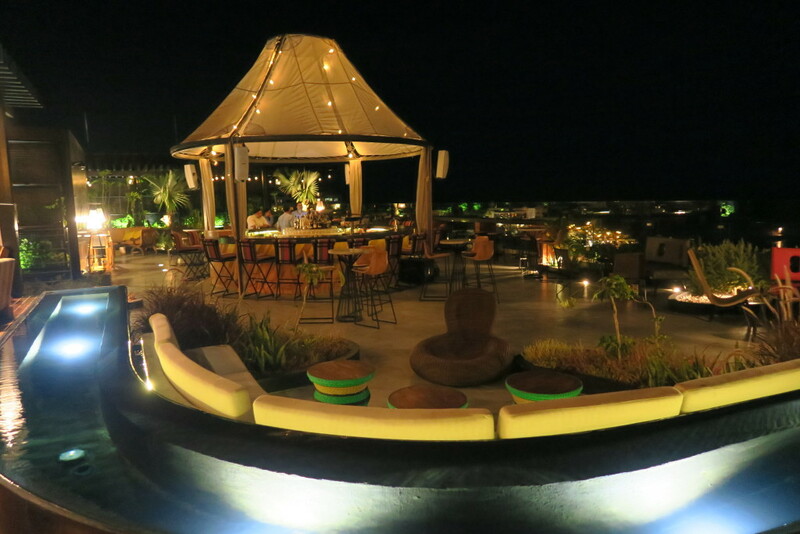 Yet another common space at The Cape Hotel is the rooftop lounge – and this one will literally take your breath away. Six stories up, you get views of the entire region. And the decor reminds me of being at a Soho House. Elements of note: detailed tile flooring, chic topiary, comfy, cabana seating areas, and a thatched roof bar. The fashionably clad come from around town to party here on the weekends. And lets not forget the rooms! Our junior suite was spacious and chic. Loved the free standing tub and rain shower. 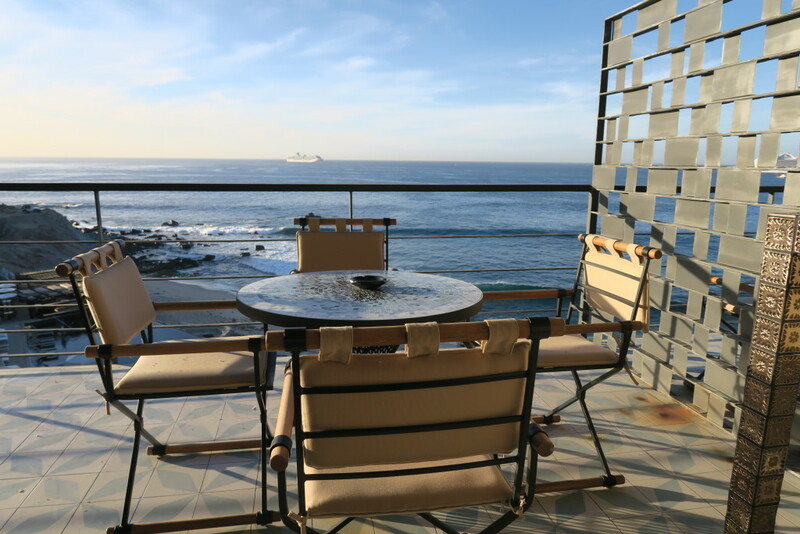 Enjoyed the ample balcony with a bed swing overlooking the sea. The interior had a Mexico-meets-retro-1960’s-décor with homages to California surf culture of the era. 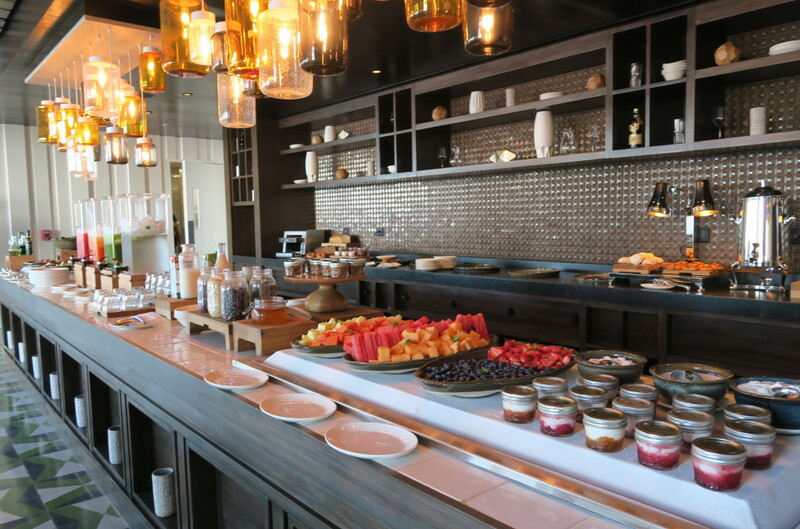 The Cape – A Thompson Hotel, fits into my hotel rating system as Local Luxury with a 4 out of 5 score. It has luxury covered, but you don’t get too much local culture. 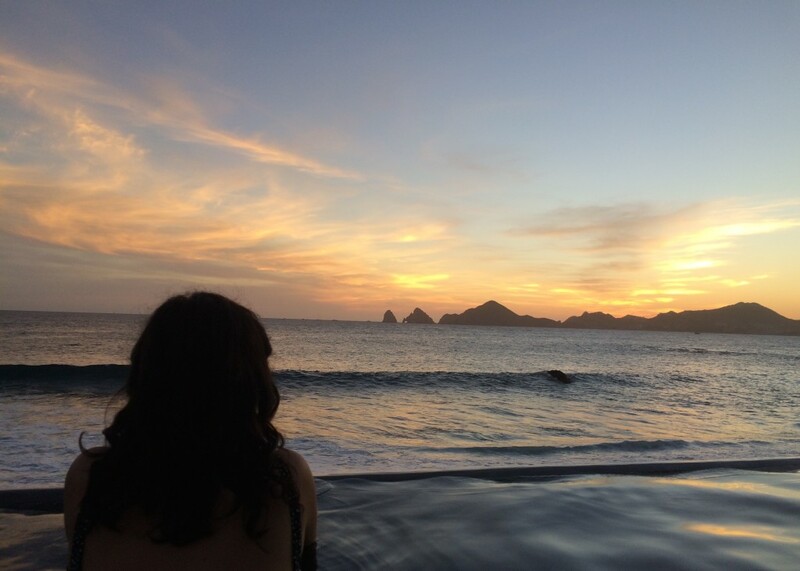 Here the local life you get exposed to most is potential interactions with occasional Mexicans of a high class and trend-setting persuasion on vacation. And finally, the staff deserves a mention too! 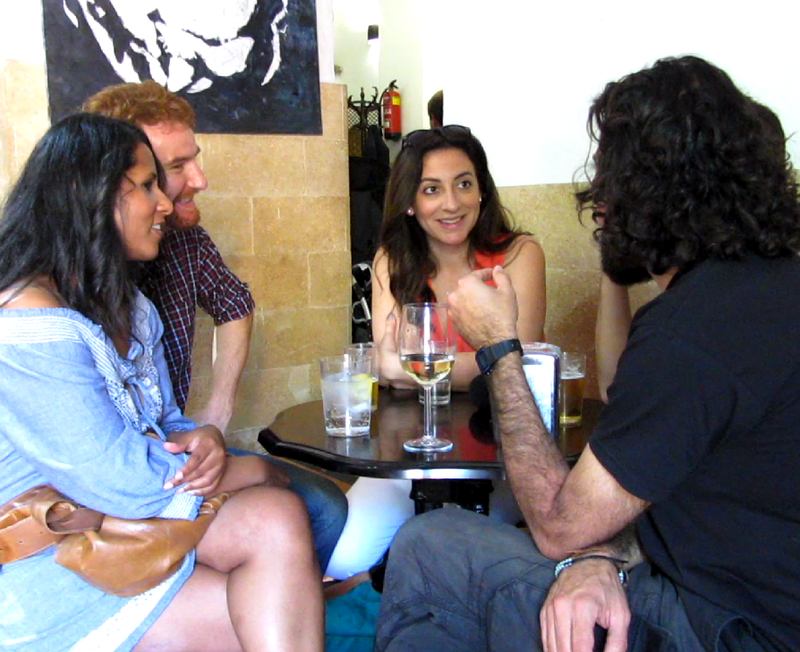 They are so wonderful – kind, catered to any request with a smile, went out of their way to help. And I was impressed how all employees I encountered spoke English, many fluently. 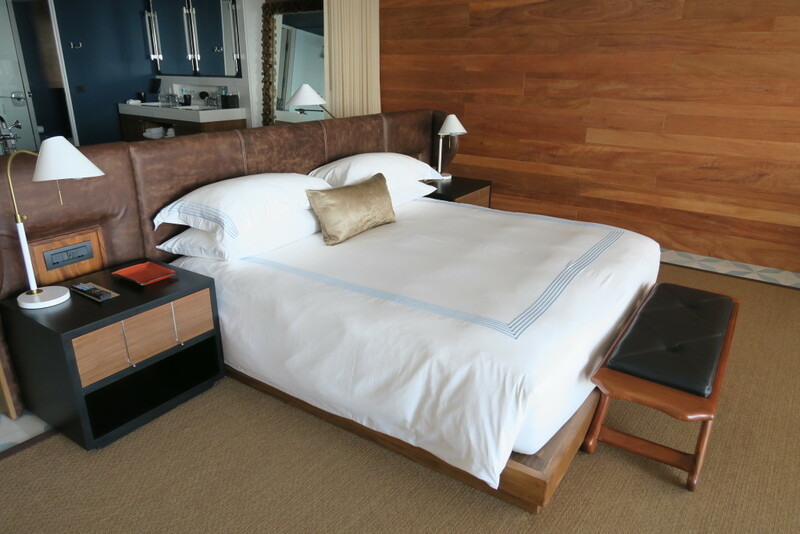 So to answer the question, “stay or not stay?” At the Cape Hotel, I say STAY if you are up for the splurge. And if you are in town definitely come for a visit to enjoy the food and take part on the roof deck! 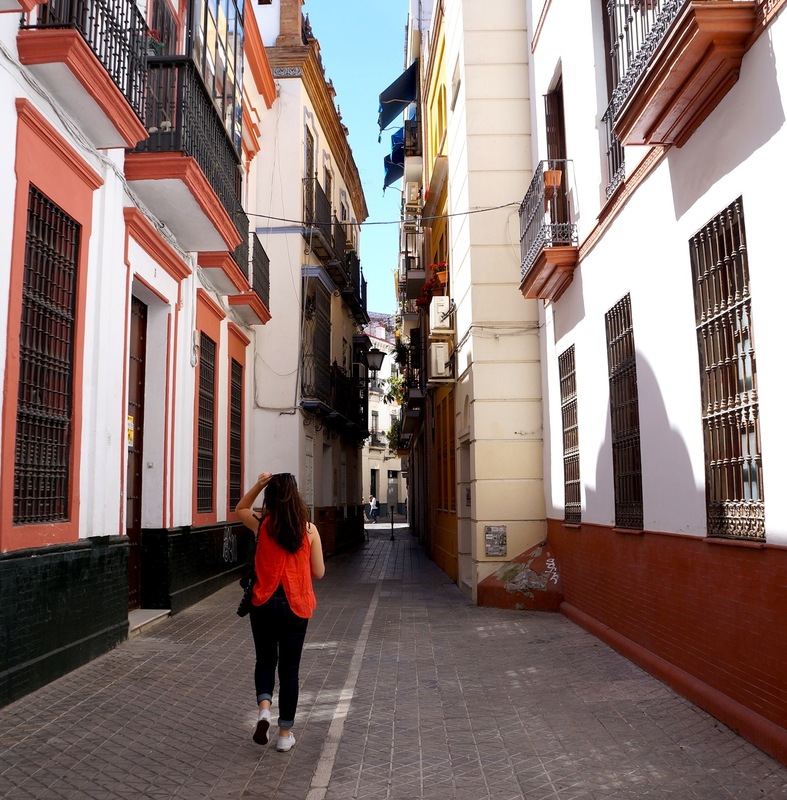 This trip was part of an experience I embarked on for Expedia Things To Do. 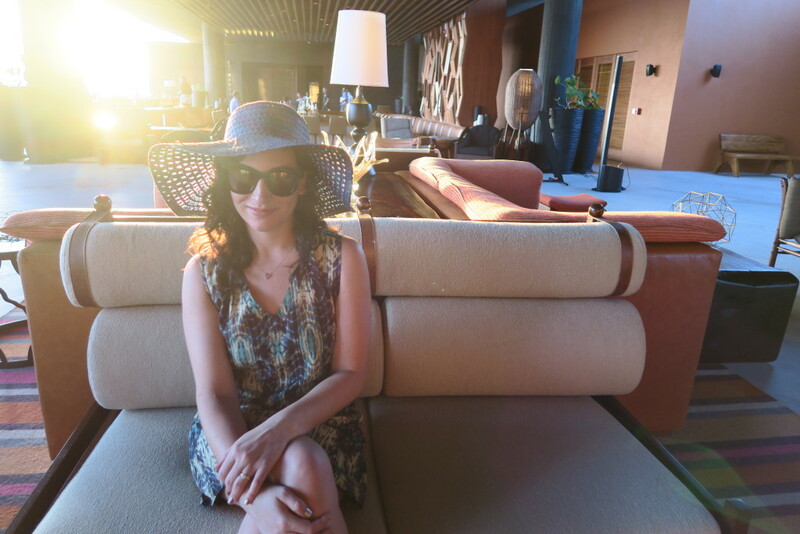 See what I got up to in Cabo HERE.